Dr. Martin Luther King (born January 15, 1929) was an American Civil Rights pioneer, working primarily during the 1950s and 60s as an advocate for rights of African Americans. He is famous across much of the world and is one of the most written about persons in history, and in the United States, we set aside a special day to honor him. During the early 20th Century, African Americans in some southern states lived under a set of laws called Jim Crow laws. The Jim Crow laws meant that black Americans were required to live separately from white Americans and they were treated effectively as second-class citizens. Black Americans were not allowed to eat at the same restaurants, live in the same neighborhoods or even ride in the same section of public buses as white Americans. The de facto beginning of the American Civil Rights movement and Dr. King's civil rights work was a bus boycott in the city of Montgomery, Alabama. A woman named Rosa Parks refused to give up her seat on a bus to a white passenger and was arrested. In turn, the boycott was organized as a non-violent protest of the city's segregation laws. The boycott was successful and led to the desegregation of public buses in the city. This was an important early victory for civil rights and gave Dr. King his start in the national spotlight. 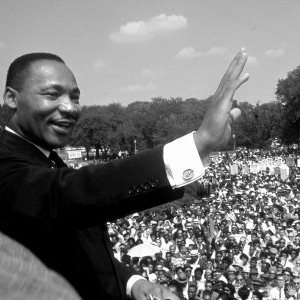 He is most remembered for his speeches, including the famous I Have a Dream Speech, given during the March on Washington, D.C in 1963. The I Have a Dream Speech is a passionate call for an end to discrimination, which outlined his vision for a world where people are judged for "the content of their character" and not their skin color or other superficial reasons. I've Been to the Mountaintop is notable for being Dr. King's final speech. He chillingly refers to his own death and the need for the struggle to continue even if he is gone. The speech was delivered on April 3rd, 1968. The next day, Dr. King was assassinated while standing on the balcony of his hotel room in Memphis, Tennessee. In 1983, President Ronald Reagan signed into law a day honoring Dr. King. The holiday falls on the third Monday of every January so that it occurs around the time of Dr. King's birthday, January 15th. It is a day for all people to remember that whatever differences we may have in terms of race or culture, they can and should be overcome for the benefit of society.